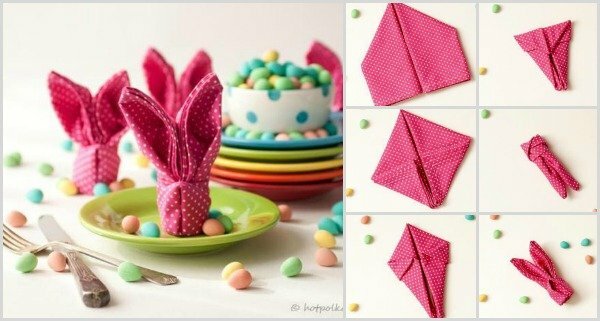 Want to make bunny napkins for Easter? This is super easy, just need a few folds, and it will surely energize your Easter table. The original source it link cannot work, so here is the full tutorial. 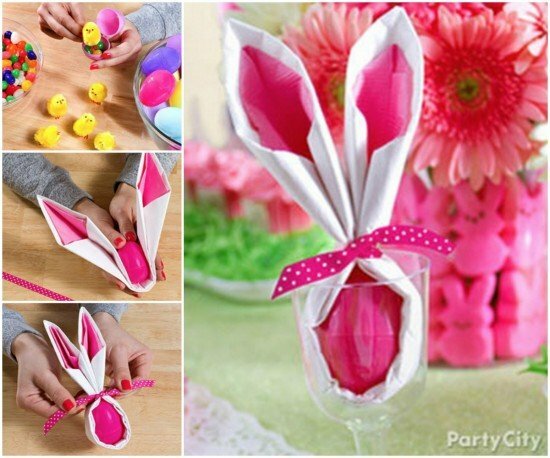 You can also fold the napkin this way, which is easier for Easter table.